CanadaVet.com Blog: 2011 CanadaVet Pet Photo Contest Coming Soon! 2011 CanadaVet Pet Photo Contest Coming Soon! Our Annual CanadaVet Pet Photo Contest will be kicking off again in the beginning of March. This year we will also be giving out special prizes for themed pet photos such as Halloween, Thanksgiving, Christmas and New Years. It’s such a great time of the year to get the camera out and capture all the special moments that the festive season brings for your pets and we can't wait to see all of the great photos that will be entered. 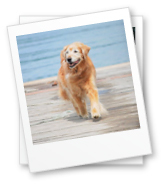 If you haven't taken any photos of your pets lately, then now is the perfect time and when March comes you will be able to share your pics with the whole CanadaVet community, and maybe even win some great prizes too! Click here to view our last year's pet photo contest winners. Click here to view a video of our last year's pet photo contest entrants on YouTube. Do Goldfish have a 3-second memory?